Shenzhen, Guangdong / China – (March 24th, 2018) – Hilton Shenzhen Shekou Nanhai celebrated Earth Hour by Night Story Telling Activity. The hotel is taking action locally to engage in sustainability efforts – from water stewardship and energy conservation to reducing waste and community projects. During the Earth Week, hotel initiated a series of public service activities, for instance, Go Green initiatives, Ocean Plastic Cleaning activity, World Water Day activites, the Planting activity and the Night Story Telling activity, to deliver the hotel’s determination on energy saving and environment protection. Hilton views responsible travel and tourism as integral to its business, which is why preserving the environment is a cornerstone of Travel with Purpose, the company’s corporate responsibility strategy to create shared value for Hilton Team Members, Guests, business partners and communities. Hilton’s commitment to the environment is embedded across the business and supported by LightStay: an award-winning, global corporate responsibility performance measurement platform. LightStay was developed and implemented by Hilton to provide a one-stop solution for reporting environmental, operational and social impacts. To learn more about Hilton’s commitment to preserving the environment, visit cr.hilton.com. Hilton (NYSE: HLT) is a leading global hospitality company, with a portfolio of 14 world-class brands comprising more than 5,200 properties with more than 856,000 rooms, in 105 countries and territories. Hilton is dedicated to fulfilling its mission to be the world’s most hospitable company by delivering exceptional experiences – every hotel, every guest, every time. The company’s portfolio includes Hilton Hotels & Resorts, Waldorf Astoria Hotels & Resorts, Conrad Hotels & Resorts, Canopy by Hilton, Curio Collection by Hilton, DoubleTree by Hilton, Tapestry Collection by Hilton, Embassy Suites by Hilton, Hilton Garden Inn, Hampton by Hilton, Tru by Hilton, Homewood Suites by Hilton, Home2 Suites by Hilton and Hilton Grand Vacations. The company also manages an award-winning customer loyalty program, Hilton Honors. Hilton Honors members who book directly through preferred Hilton channels have access to instant benefits, including a flexible payment slider that allows members to choose exactly how many Points to combine with money, an exclusive member discount that can’t be found anywhere else, and free standard Wi-Fi. Visit newsroom.hilton.com for more information, and connect with Hilton on Facebook, Twitter, LinkedIn, Instagram and YouTube. Travel With Purpose is Hilton Worldwide’s commitment to furthering responsible travel and tourism through investing in positive social and environmental impacts. Travel with Purpose focuses on creating meaningful opportunities for people and opening doors for youth; investing in community resilience through skills-based volunteerism, disaster relief and human rights; and reducing the company’s environmental footprint through responsible operations and sourcing. Visit cr.hilton.com to learn more. Hilton Shenzhen Shekou Nanhai held the Christmas lighting ceremony on November 30, 2017. Corporate VIP guests, students and teachers fromQSI International School, as well as local media gathered in the lobby celebrating the coming of Christmas season. 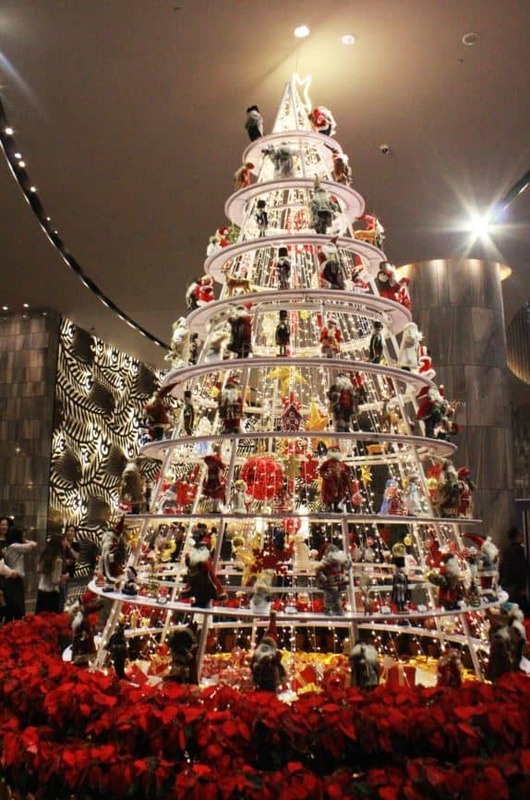 A Christmas tree surrounded by Santa Claus dolls was placed in the center of hotel lobby, against the glass window which has a fantastic outdoor sea view and the newly opened Nanhai Wing. The hotel provided the guests with an assortment of traditional Christmas beverages and seasonal delicacies. The ceremony began with a Christmas choir from QSI International School, bringing warm and cheerful choral with Christmas joy. Hotel Manager Neige Yuan delivered a warm welcome to every guest, “This year we are designing the hotel in the theme of “Neverland”, aiming to create a fairyland where you could enjoy and relax after busy days and bringing your family for a short tour. As you may know, our Nanhai Wing next door just opened in July this year, offering more accommodation and F&B options, as well as more service facilities to our customers, including a large area of outdoor garden and lawn, and more spaces for families and kids to have fun. Wish you have an enjoyable night and Merry Christmas!”. Then, the lights of the hotel lobby went off. The Santa, together with all guests lit up the tree together after the 10-second countdown. The Santa later provided the kids with goodie bags, and took photos in front of the gingerbread house. 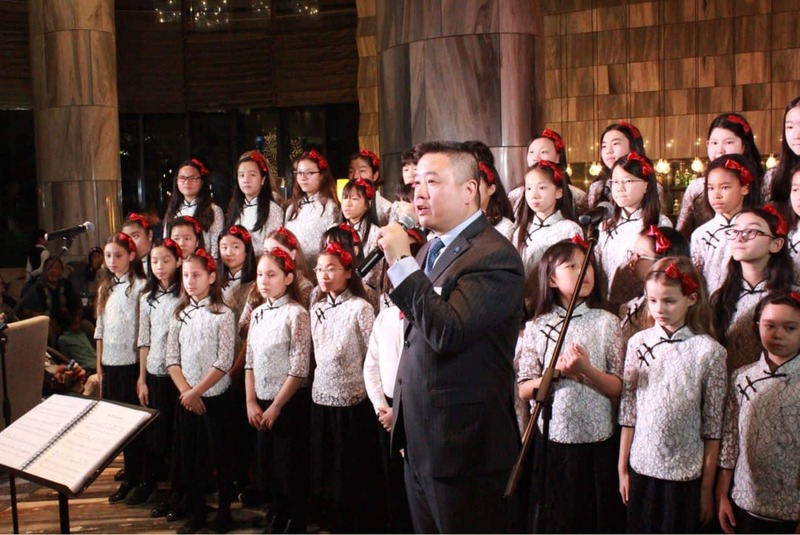 Guests were invited to join Hilton Shenzhen Shekou Nanhai in welcoming the holiday season in style.